SHAFAQNA- A bacterium common in insects has been discovered in a plant-parasitic roundworm, opening up the possibility of a new, environmentally friendly way of controlling the crop-damaging pest. The worm, Pratylenchus penetrans, is one of the “lesion nematodes” — microscopic animals that deploy their mouths like syringes to extract nutrients from the roots of plants, damaging them in the process. This particular nematode uses more than 150 species as hosts, including mint, raspberry, lily and potato. 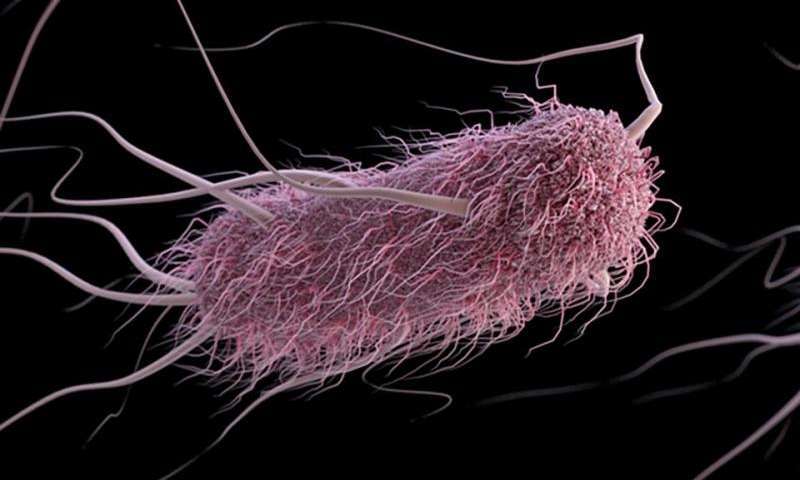 The newly discovered bacterium is a strain in the genus Wolbachia, one of the world’s most widespread endosymbionts – organisms that live within other organisms. Wolbachia is present in roughly 60 percent of the globe’s arthropods, among them insects, spiders and crustaceans, and also lives in nematodes that cause illness in humans. Postdoctoral scholar Amanda Brown in the Oregon State University Department of Integrative Biology was the lead author on the study, and recently accepted an assistant professor position at Texas Tech. Findings were published in the journal Scientific Reports. 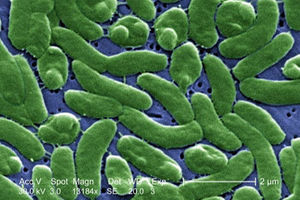 Depending on the host species, Wolbachia can be an obligate mutualist – the bacteria and the host need each other for survival – or a reproductive parasite that manipulates the host’s reproductive outcomes in ways that harm the host and benefit the bacteria. Parasitic Wolbachia can cause its host populations to heavily skew toward female. 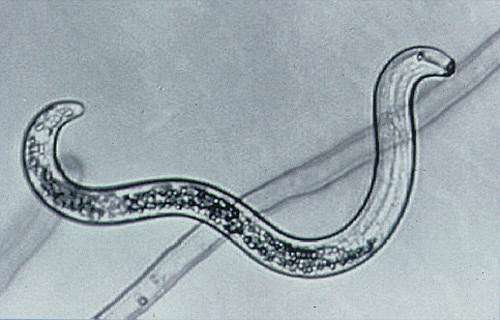 In the case of the crop-pest nematode, Pratylenchus penetrans, that Brown and her colleagues studied, the bacteria-host relationship appears to not be one of obligate mutualism – many examples of non-infected worms have been found, meaning the worm doesn’t rely on Wolbachia to survive. But more study is needed to determine the exact nature of the relationship, said Dee Denver, an associate professor in the Department of Integrative Biology in the College of Science. Whatever the relationship, simply discovering Wolbachia in Pratylenchus penetrans opens up the potential for managing the roundworm’s population via biocontrol rather than environment-damaging fumigants, such as methyl bromide, that are being phased out by the U.S. Environmental Protection Agency. “We can use what’s already infecting them against them,” Denver said. It also might force the worm to devote energy to dealing with the bacterium, effectively distracting it from being as damaging to the crops as it otherwise would be. Wolbachia is already being used as a biocontrol strategy in Colombia and Brazil, where infected mosquitoes are being released in an effort to control the Zika, dengue and malaria viruses. Mosquitoes are a vector for those diseases, but Wolbachia-infected mosquitoes pass the bacteria to their offspring, who lose their ability to transmit the diseases. Wolbachia also can interfere with the mosquitoes’ ability to reproduce at all. In addition to the potential for an environmentally safe way to deal with a crop pest, the research is noteworthy for providing genomic evidence that nematodes, not arthropods, were the original Wolbachia hosts. The strain that OSU researchers discovered – known as wPpe – proved to be the earliest diverging Wolbachia, meaning the bacteria adapted to arthropods and then later evolved to reinvade nematodes. Another unanswered question: How widespread is Wolbachia among plant-parasitic nematodes?